Have you just finished building your store? Trying to see what addon things you can do with your store? 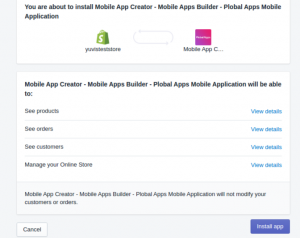 In this article, you will discover how to install apps from the shopify app store for increased productivity, boosting sales and increasing customer experience. Shopify is one of the best ecommerce platform which allows businesses to create their own ecommerce website within minutes. 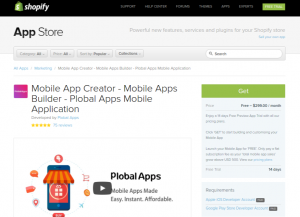 (create your free store here-plobal apps affiliate link). Shopify doesn’t just provide you with an ecommerce platform but also provides you with different tools and plugins which helps you in your ecommerce journey. Simply follow the below steps and get started with installing your first shopify app. For example I will show you how you can download the Plobal Apps App. 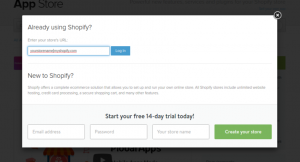 Step 1- Go to Shopify App Store and search for the app you would like to install. Step 2- Click the Get Button and enter your store’s url. Step 3: Click Install App to Proceed with the app installation. Now that your app is installed you are all set and can start using the app. Bonus Tip: Here are few must have app for your shopify store: Compass, Plug in SEO, Plobal Apps Mobile App, Kit CRM, Yotpo, Smile.io. There you have it! With only a few steps, you have installed your first app. Now the next step is to install the recommended apps. You are on your way to increase conversions, productivity and customer experience.